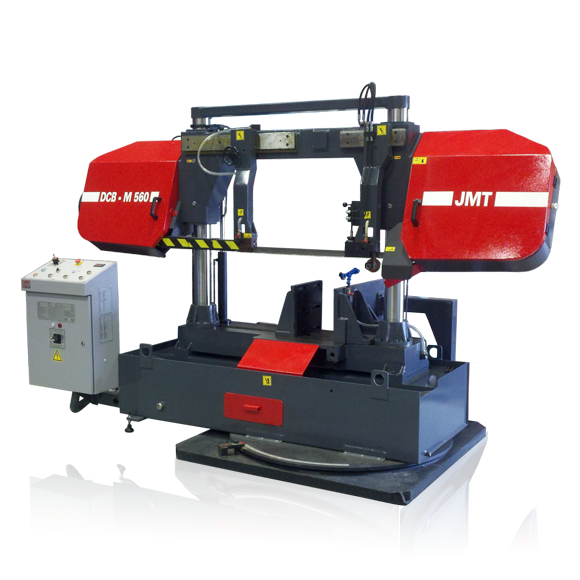 JMT USA is proud to present our new line up of manual mitering band saw machines. 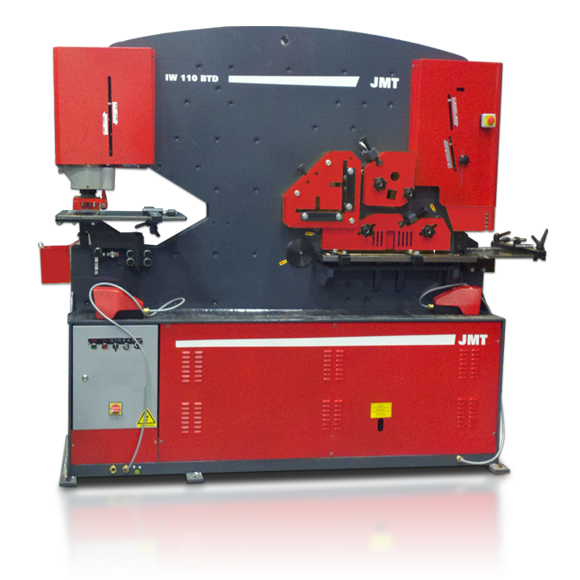 Give production the edge it needs with JMT’s profitable sawing solutions. 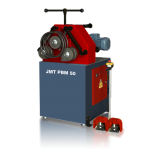 For the past 50 years, JMT has left the competition behind and continues to lead the world today in metal band saw technology. 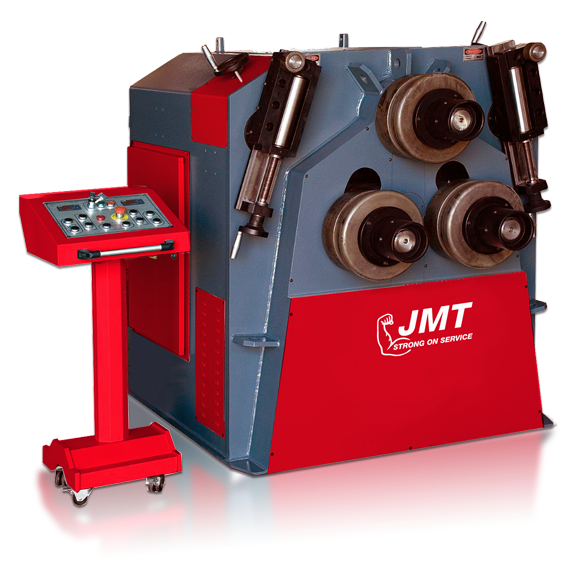 With some of industry’s top engineers, we’ve pioneered new innovations and products that have revolutionized the band sawing industry with incomparable reliability, and durability that is second to none, JMT is the rock solid solution. 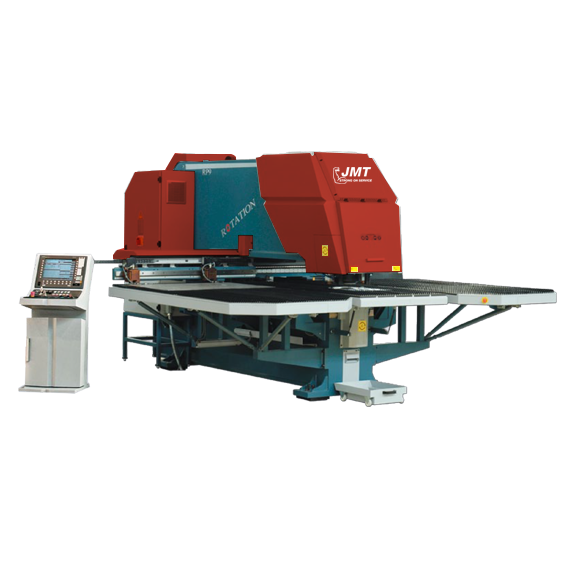 JMT delivers the widest range of sawing machines in the industry. 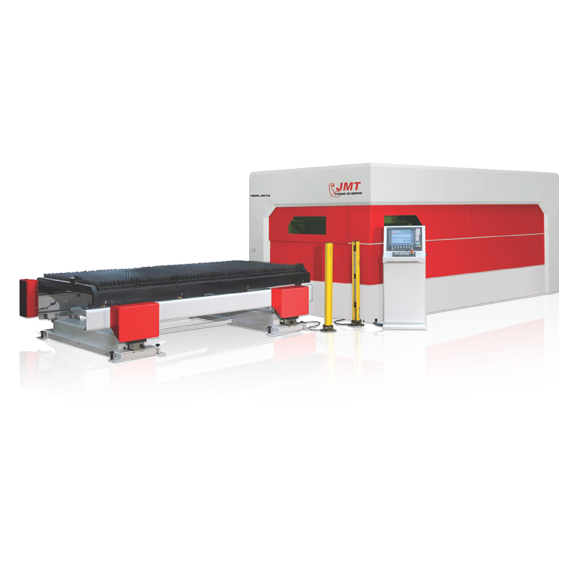 From unique, portable band saws to 1100 m.m. 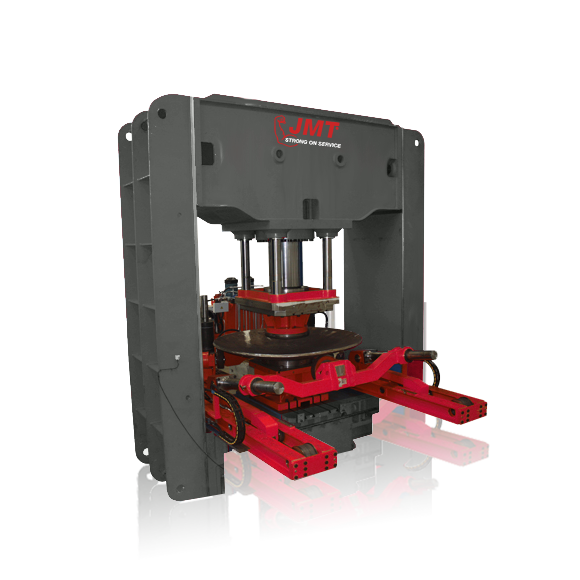 mitering, horizontal straight cut off, and vertical band saws, JMT meets your sawing challenges with solutions that’ll make a sharp difference to production’s bottom line. This compact saw designed for the craftsman or small shop cuts 7″ rounds at 90°, 6.7″ squares and 6.2″ x 8.2″ rectangles. It also miters 45° and 60°. Great for mobile use on the job site with built-in wheels. Good saw for hobbyists. 110 volt operation. Toggles between four speeds (72/108/147/213 FPM). 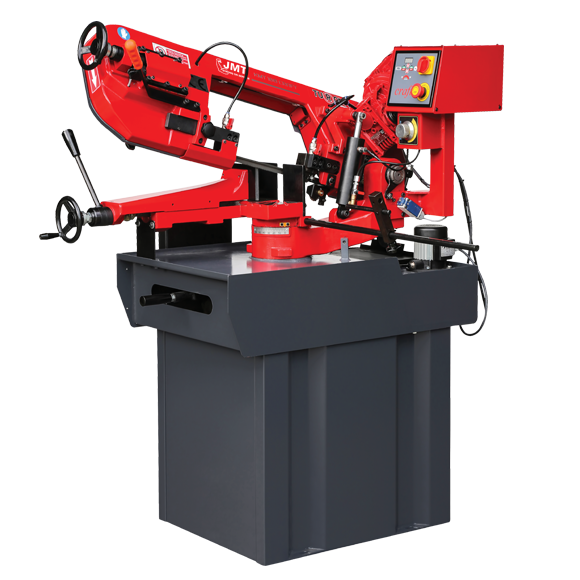 This compact pivot style saw is perfect for small shops, its footprint is only 5 feet by 2.5 feet. 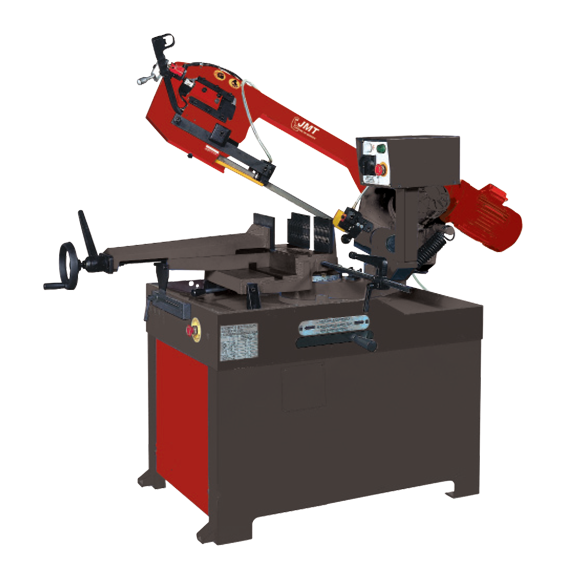 Powers with a 1.5 hp motor, this saw can cut 9 inch diameters or flat material up to 4 by 10 inches. 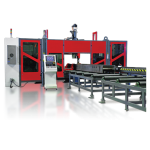 It can also miter cut at 60 degree or 45 degree angles. 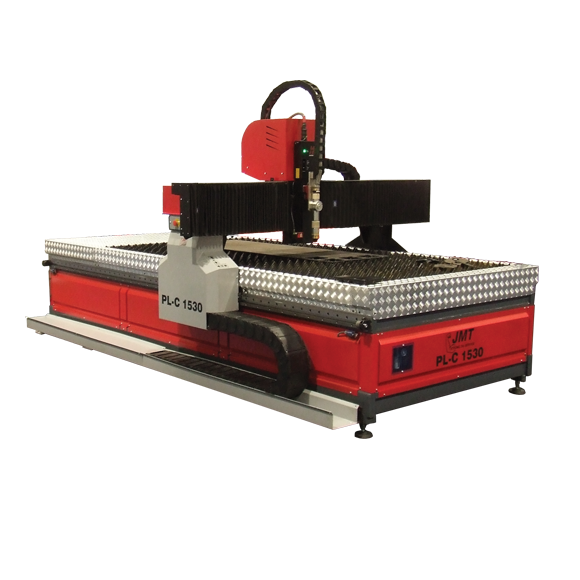 A great value for anyone cutting small parts. 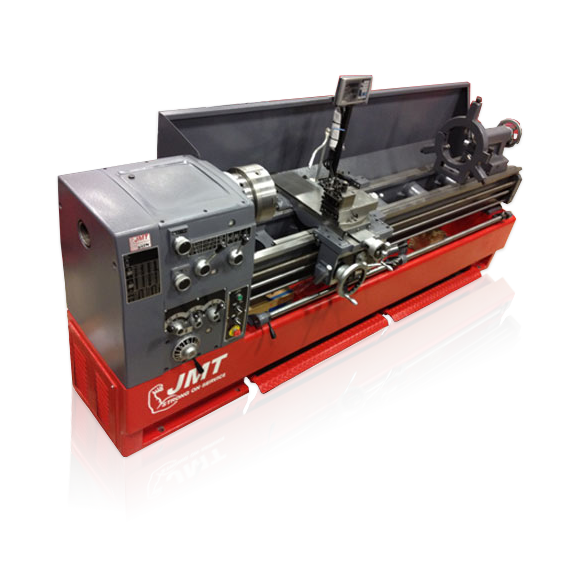 This pivot saw cuts 8 by 12 inch flat stock or 9 inch bars. 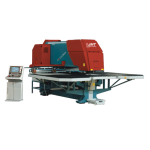 It has double miter cutting capabilities with settings at 90°, 60°, 45° and minus 45°. At 5.5 feet by 2.5 feet this saw makes effective use of floor space. 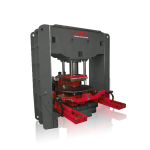 These and all JMT-USA products are backed by an extensive world-class network of technicians, sawing specialists, and distributors. 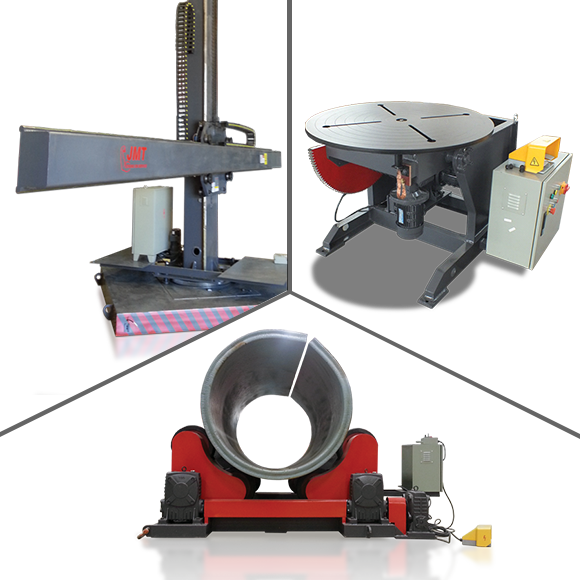 And best of all, these band saws and cold saws are all designed to use off-the-shelf-parts so you’re assured quick repairs when needed. 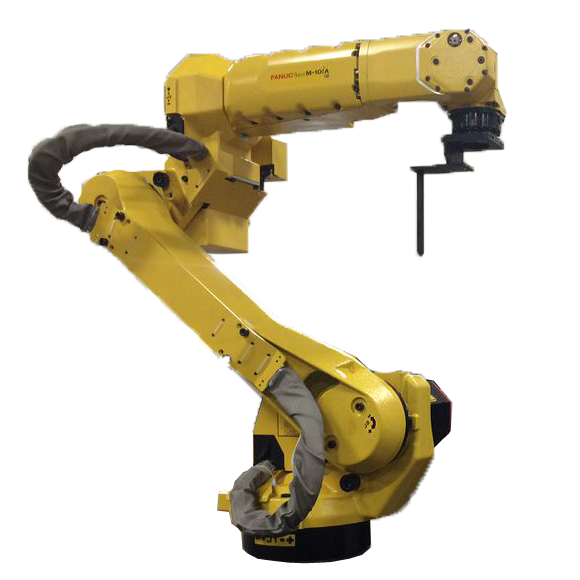 Coupled with the Jorgenson Material Handling Division of the Jorgenson Companies, with JMH’s 50 + years of innovation and production, no turnkey operation is outside our scope of creation. 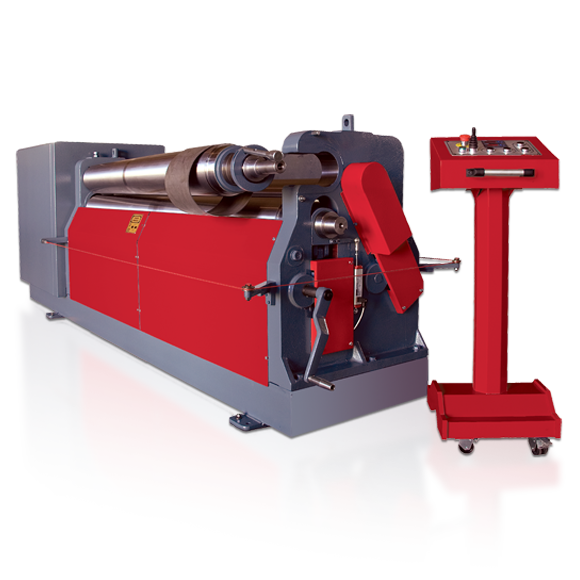 If you can draw it, we can produce it. 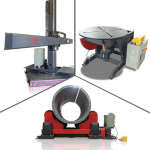 From multiple inboard stock feeding configurations, to multiple outboard sorting, we can do it all. 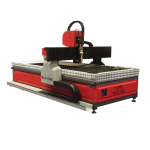 Our manual miter saws the WV-260S, and the WE 310 DSN, offer a ton of capabilities for a price well below the value of their production abilities. 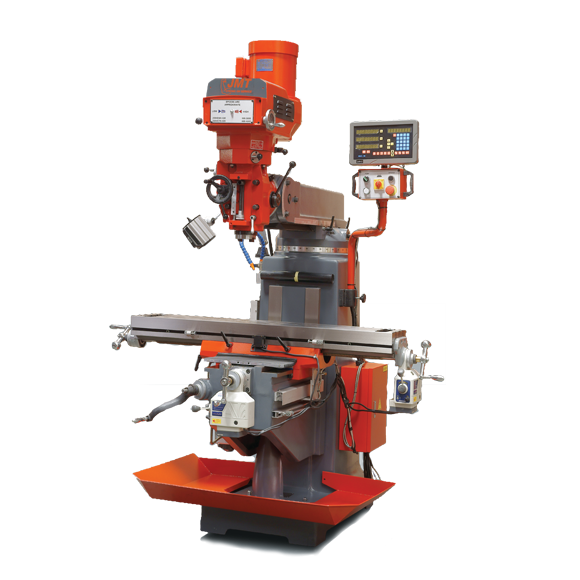 The WV 260S has a square cutoff capacity of 9 inches and can miter on either side from 90 degrees to 45 degrees with a stop at 60 degrees to the right, and can miter to 45 degrees to the left. The 310 DSN can do everything the 260 can do only bigger! 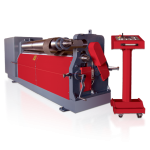 The 310 has the same 90 degree square cutoff capacity as the 260 at 9 inches of a round but can also handle a 9 inch square at 90 degrees. 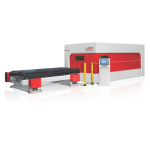 All the capacities of the 310 are approximately 25% greater than the 260. 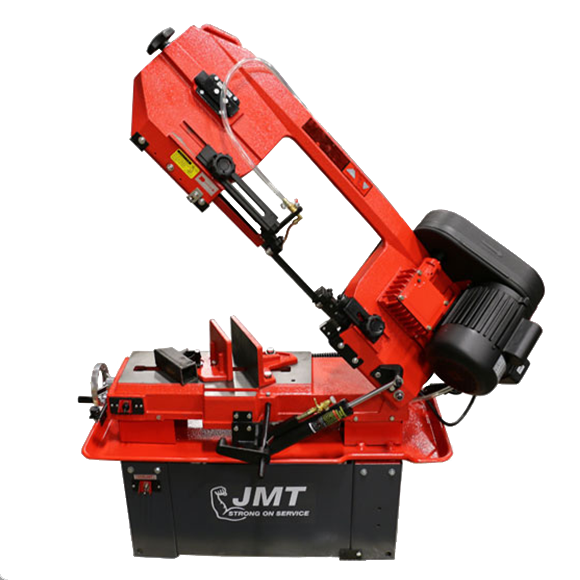 Both of JMT’s small manual mitering band saws are quite stout for their size. 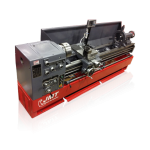 With cast iron vises, pivot points, and blade wheels, these saws are designed to go the distance. 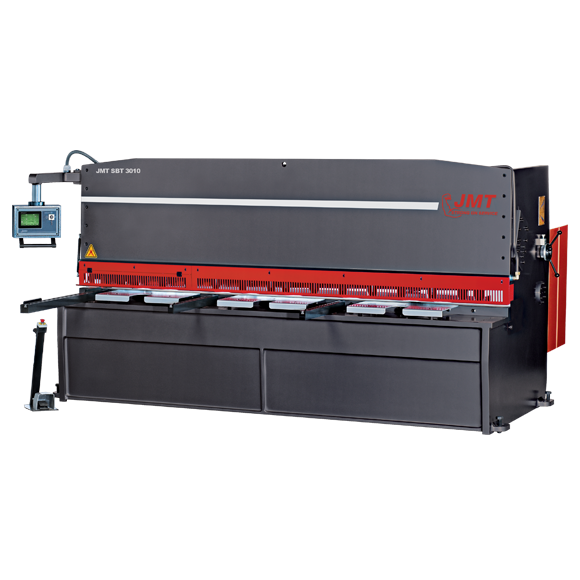 1 inch wide band saw blades will insure you get through the toughest cutting jobs. 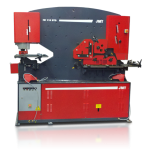 Both the WV260S and the WE310DSN utilize direct drive gear to gear blade driving wheels for increased life and sure torque to the saw blade. 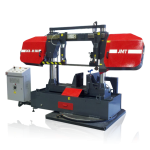 These two band saws size may not be overwhelming but their productivity certainly is. 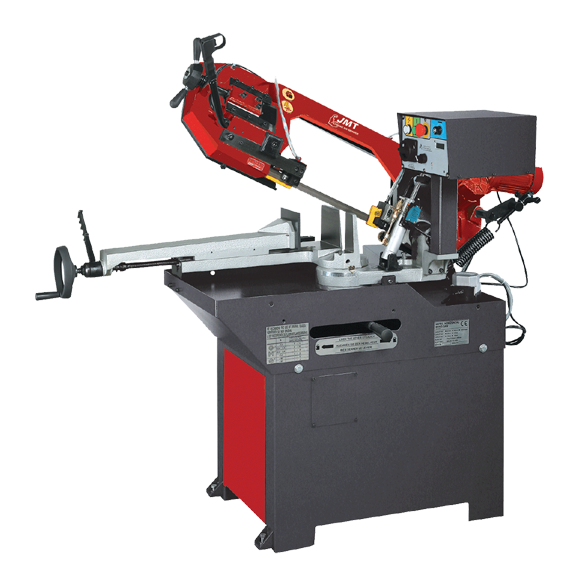 The convenience of operation is one of the factors that make these two saws so popular. 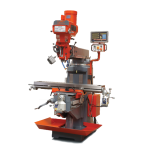 With double lead screw vise adjustment, the material is clamped in no time. 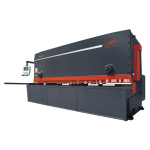 The band saw blade speed is just the twist of the speed control knob. 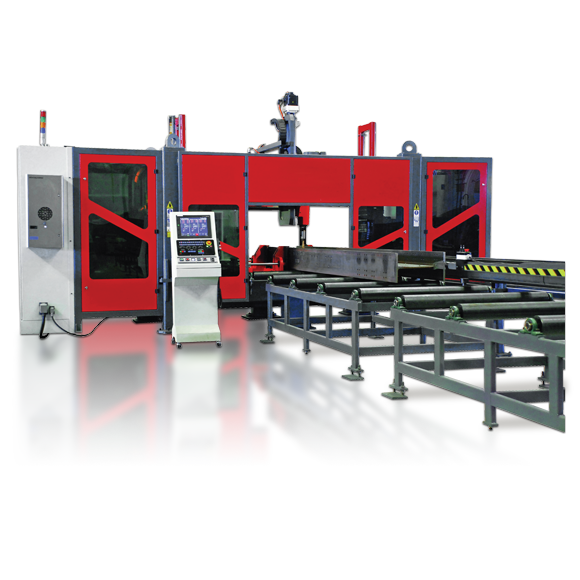 These two saws also have an outstanding speed range for the saw blade of 31 feet per minute to 275 feet per minute allowing the precise processing of a wide range of materials, from hardened steel to soft aluminum and yellow metals. 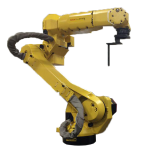 With a dedicated well trained network of service engineers and dealers, you are never far from competent support no matter what the requirement. 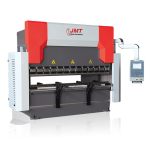 Try a JMT-USA band saw machine today, you will be glad you did for years to come.